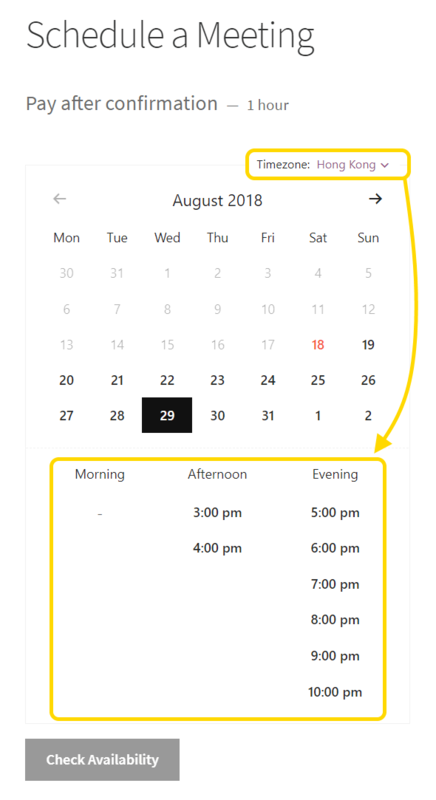 2018 Update: Time zone conversion has been updated, so customers can now choose their own timezone and it is displayed throughout the scheduling process. Read more about this update here. 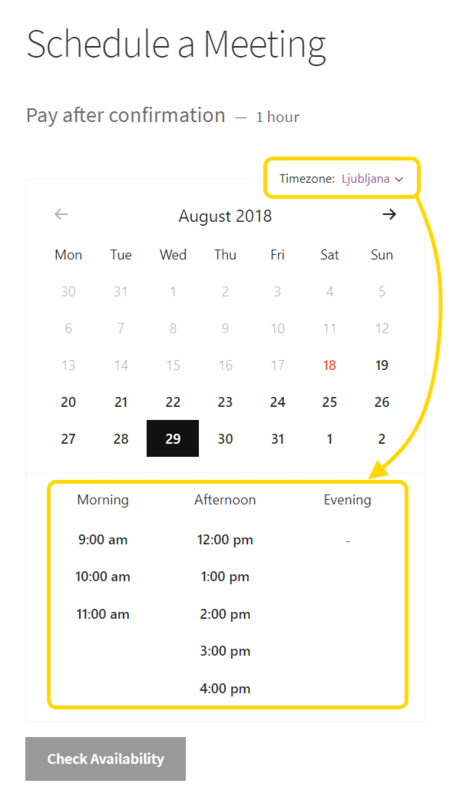 Time zone conversion for WooCommerce Appointments plugin has arrived and it’s awesome. This is especially useful, when you want to offer services online and you operate globally. 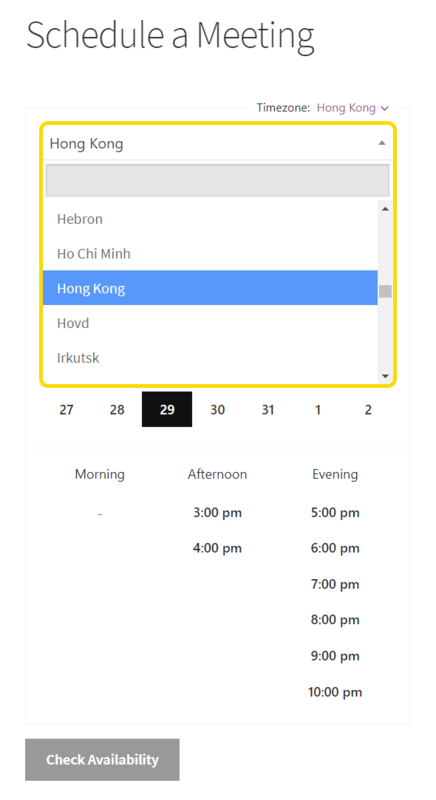 You can set up appointable products in your own timezone and customer will see all available times in their own timezone as well.